So you’ve read our blog on Starting a Google Shopping Campaign with £100, you’re campaign’s up and running and you’re feeling like you’ve got this Digital Marketing malarkey – so what’s next? Here’s the thing – whether it’s going great or not so well, your campaign can probably do better! So now it’s time to optimise. The more data you give Google the more likely Google is to show your products above others. It’s no secret that Google rates what it perceives to be “quality” information, so the better “quality” the information you can send to Google the better your products will perform. Google also factors the “Google_Product_Category” you send in the feed into its search results so it’s important to get the categorisation right. 0 characters – but conversely will then warn you about long titles (over 70 characters) in your feed diagnostics, so keep an eye on that in just case they decide to change that 150 character recommendation. Warnings won’t affect your adverts (Errors do though, so make sure you deal with those quickly). 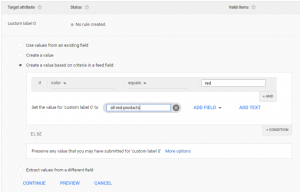 The Merchant Centre will allow you to add Custom Labels to your products, you can then use these labels to set different bids in AdWords based on the Label. 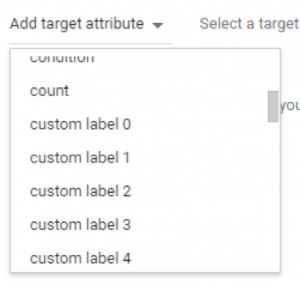 For example, if you wanted to put a higher AdWords bid on all the red products in your product catalogue you would use a Custom Label to do this. You can add as many values for custom label 0 as you wish, and you can set more than one custom label if you wish (currently there are 5 available). Select your label and click “Save”. 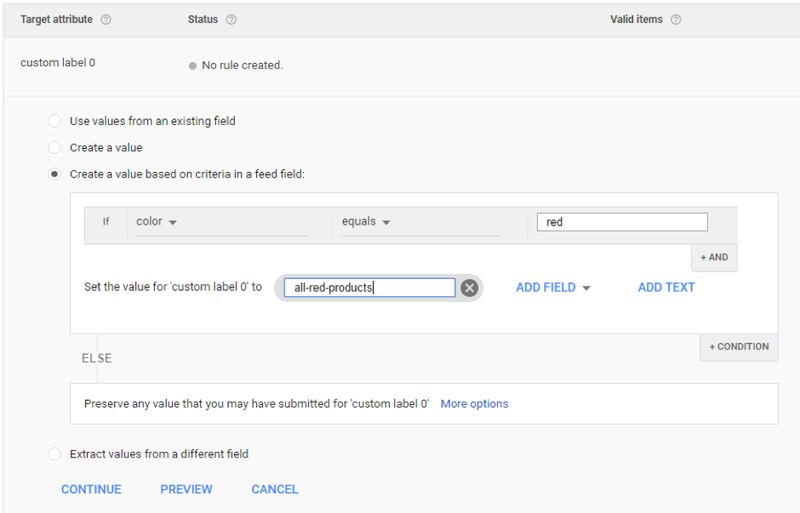 You will go back to the Product Groups list and your Label will be there as a group. Success! You can now change your bid for this group without affecting any other products. You can also use Custom Labels to exclude a group of products from bids should you wish to, simply by setting the bid amount to “Excluded”. You’re now all set to get targeting, saving money and maximising revenue. If you feel you need further help improving your Google shopping feed, call us on 0161 974 0974. Depending on where you are based you may be able to get funding towards your digital marketing projects.